We hear a lot about supporting pollinators in mainstream publications, but it is often difficult to find information that provides thorough lists of plants (not just the top 5 flowers), includes both larval food and nectar plants, includes bats and beetles rather than just bees and butterflies, or is specific to the regions in which we work. 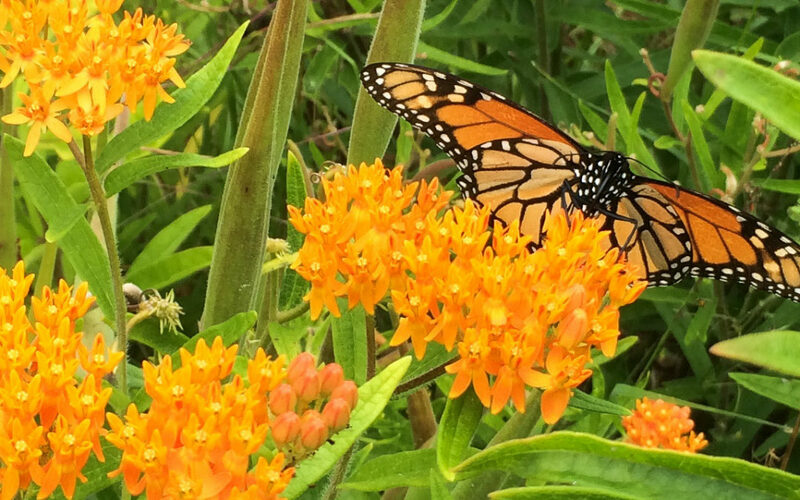 This is a great resource from the Pollinator Partnership on choosing Plants for Pollinators in our ecoregion here in the northeast. Does it include all the plants that support pollinators in our region? No. But it is a great place to start! I’ve heard a few questions about this post. Generally, when your region’s native plants begin blooming and the plants’ associated pollinators are active, it is safe for garden cleanup. An easy identifier is when dogwoods and redbuds are blooming. Another possibility is to make bundles of plant stalks and hang off the ground (as a predator deterrent) or leave 12-15″ stalks in the garden for cavity-nesting pollinators, laying the rest of the debris on the ground or somewhere out of the way until the pollinators have a chance to wake up. Just don’t place the garden waste into the compost or bags until after native plants are blooming – the heat and moisture will kill the pollinators and other beneficial insects.